As we all know, punctuations are very important in any type of writing. In the wide array of punctuation marks, one of the most underrated is probably the Oxford comma. In fact, a lot of people don’t even know what it is. So, today, we will be discussing it in an attempt to explain why you should use it whenever needed. Oxford comma is the final comma in a sentence that is put before the word “and” at the end of a list. Strictly speaking, it is defined as an optional punctuation mark. However, this does not mean that you should just drop it when writing sentences. Also known as a serial comma, its name comes from the fact that it was traditionally used by editors at Oxford University Press. 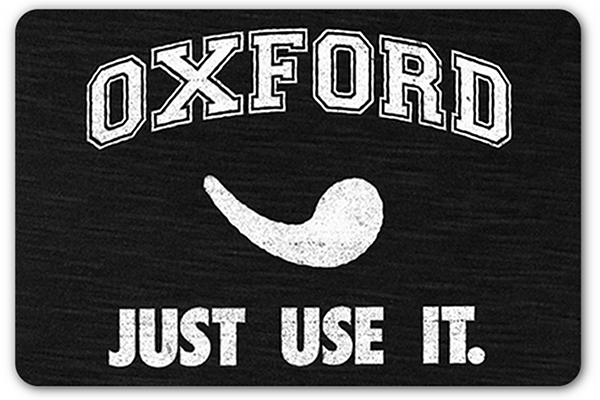 Why should you use an Oxford comma? Writing is a form of storytelling. When you write your sentences, you are telling stories and ideas that you want people to understand. Also, it is important to be able to convey correctly your message. This is where the importance of Oxford comma comes into play. Without it, the meaning of a sentence can change completely. Sentence #1 with the Oxford comma: Louis loves his parents, Darcy, and Harry. Sentence #2 without the Oxford comma: Louis loves his parents, Darcy and Harry. In the second sentence without the Oxford comma, it may be interpreted as Louis loves his parents who are Darcy and Harry. This makes the meaning completely different as opposed to the true message, which is, Louis loves his parents as well as Darcy and Harry. Again, by definition, an Oxford comma is completely optional. In fact, some writing guidelines do not require the use of it. Although, as seen in the example above, it is better to use it for a clearer sentence meaning. While the omission of this punctuation mark may not technically affect grammar, this comma can make a big difference in the idea of the sentence that you want to convey. So in conclusion, it is therefore ideal to use it in any type of writing. Previous post Tips for writing seo-friendly articles and blog posts Next post Will Machines Replace Editors?